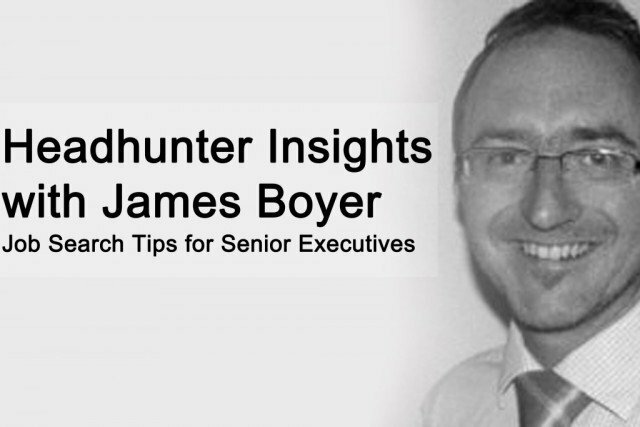 Executive Headhunter James Boyer, a specialist in the online gaming industry, shares his unconventional job search tips for senior executives. James offers advice to help senior executives improve their approach to networking and goes on to explain how you can begin to build a strong relationship with a Headhunter. He provides insight into the gaming industry and you’ll find out why you should never pass up the opportunity to speak to a headhunter – even if you’re not looking for a role! 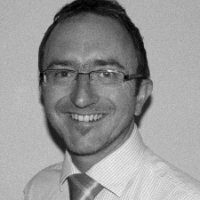 I’m an experienced headhunter who serves the egaming and igaming sectors and am currently Director of Gaming Headhunters – part of Elliot Marsh Headhunting Partners. I’ve been in the recruitment game for as long as I care to remember and have specialised in the online gaming industry since 2008, placing senior to board level candidates across a multitude of functions and departments of the major operators including the likes of Sky Bet, Paddy Power and Bet 365, to name a few. We’re involved in a variety of verticals and so are experienced sportsbook, bingo, poker, social and casino headhunters. I primarily source my own vacancies and candidates, which helps me sell client and candidate benefits accordingly as I personally understand needs from both sides of the fence. I’m fortunate to have placed key figures in the industry and these individuals, who were once candidates, are now clients. This is where I gain a competitive advantage as I now know exactly what the key drivers, pressures and needs are of these highly influential industry figures and can source the most appealing candidates accordingly. This is based on both the technical skillset and necessary personality type. The benefit of working alongside Executive Headhunters who are also within my group is that I have the ability to engage their first class research function both when at full capacity and when targeting particular skills not common in our industry. I definitely wouldn’t be where I am today if I didn’t put myself out there. My outgoing personality and direct, no nonsense approach has served me well in this industry making the key ingredient to becoming a successful headhunter more achievable – networking. This is all about being proactive. Most people wait for their ‘dream job’ to open up, but have you ever thought about making it happen yourself? Study the industry or role you want, look at companies you’d like to work for, work out what their challenges are and propose a solution(s). You should hope to get noticed by helping the company without wanting anything in return. Most professions have some kind of quantified target or KPI included. Sales, procurement, HR and marketing roles are obvious examples, but there are many more. Don’t beat around the bush, employers love concise information and like to be able to foresee what kind of ROI they will gain from hiring you. Don’t always follow your destiny. I have found that most people who enjoy their work didn’t actually envisage doing that job when they were younger. People often try new things and fall out of love with what they perceived to be their destiny – I think it’s called something like human nature. I’m firmly of the belief that the best career for you, finds you. Don’t force yourself down a path that may not really lead to the place you want to be. Don’t be deterred by horizontal moves. Candidates want to move up the ladder, especially when changing companies, it’s just human nature. However, clients would often prefer to bring someone in at the same level and have them earn a promotion working at their company. I’m not saying stop applying for great opportunities, just consider the horizontal move because the opportunity may be greater than it seems. Simply address the likelihood of progressing in the latter interview stages. This may sound a bit cute seeing as I’m a headhunter myself, but I assure you it’s a massive advantage. People like me don’t just provide an invaluable connection to the big decision makers, we know what’s happening in an industry before most and, more importantly for you, we know who’s planning on moving and where the next gap will be. You’re much more likely to get an interview for a role if you’ve been shortlisted by a headhunter, especially if they’ve worked with that client in the past. What can a candidate do to build a relationship with an Executive Headhunter? We’re the masters of the unsolicited approach and the fact is, if you haven’t heard from us, you’re missing out on a big number of top opportunities. There are ways that you, as a senior candidate, can make yourself more appealing to headhunters and remain on our radar. We don’t forget a good candidate when we see one, trust me. A top notch candidate profile. Does your profile clearly show your key strengths? Can I see an overview of what you’ve done and who you’ve worked for in the past? Will it show up in searches / are you using keywords? Headhunters have processes when looking through candidate profiles and we look out for certain things that appeal to us. Using keywords will help you show up when we search based on particular skills. Someone who will always take my call (or get back to me if they’re unavailable). I appreciate that it isn’t always a good time to take a call from a headhunter and I always use the utmost discretion when contacting candidates. If you don’t get back to a headhunter, even if you aren’t currently looking for a new role (over 90% of candidates I place weren’t looking for a new role at the time), talk to me. I may come back to you with something you can’t refuse and don’t forget I’m contacting you about a role because I think you would want to hear about it. When was the last time you spoke at an event or blogged about a relevant topic in your industry? Engaging with your market shows me that you have confidence, drive and ambition which means I’ll be more inclined to endorse you by putting you in front of my client. Tweet your blog or article to @LinkedInPulse and you’ll be more likely to get online coverage. What specific sector insights can you share with candidates? The gaming industry has matured and evolved over that past few years with the massive influence social media and online. The industry pretty much lives online nowadays. Traditional marketing channels have narrowed, opening up new avenues for winning new players. There’s a heavy dependency (for successful marketing departments anyway) on highly skilled data manipulators who use automated programmes to identify, segment, target and analyse their market, and convert their findings into useful information for the company. There are now plenty of opportunities for individuals with analytical backgrounds to bring their skills to a thriving industry regardless of where they were obtained. If you think you have the skill set to enter the gaming arena, don’t hesitate to give me a call or email. It swings both ways – you should never pass up the opportunity to speak to a headhunter and I’ll never miss the chance to talk to a new candidate. Conversation is key in this industry.